Lisa’s baby « Hercules and the umpire. Raining in Lincoln and Hong Kong too! It rained hard last night in our little corner of the world. The rain continues. It is dark and cloudy and stormy. We see Joan’s oncologist today. He works in the same clinic as my oncologist. Old home week. Since the sigmodie-thingie-scope for Joan was good last week, we don’t anticipate problems. 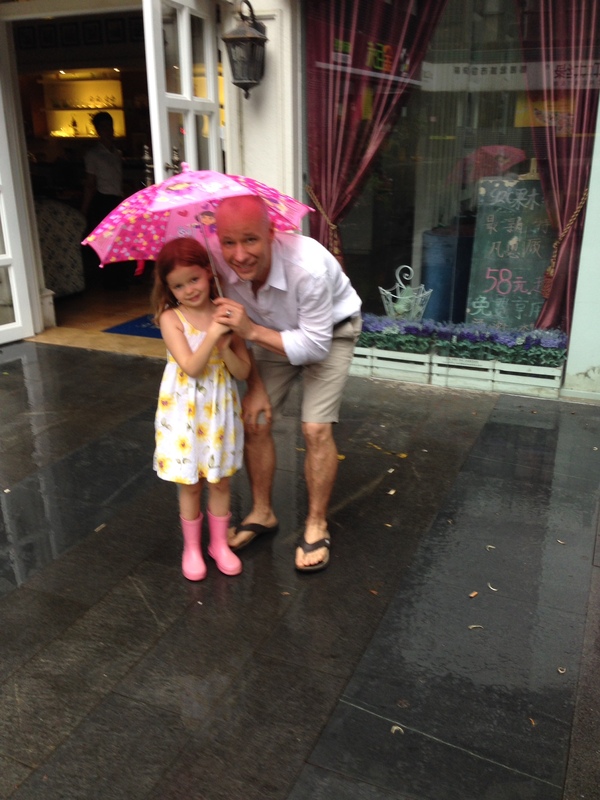 It was raining in Hong Kong too where Lisa’s Ob/Gyn hangs out. The family went to find out what kind of baby was coming to China. Petra knows but is not telling. Daddy doesn’t want to know what kind just yet. Quiet. It’s a secret. Without rain, what would happen to the river of life? Well, probably, I wouldn’t think to write trash like this. Oh, well.